Is Donald Trump’s transition effort falling behind? 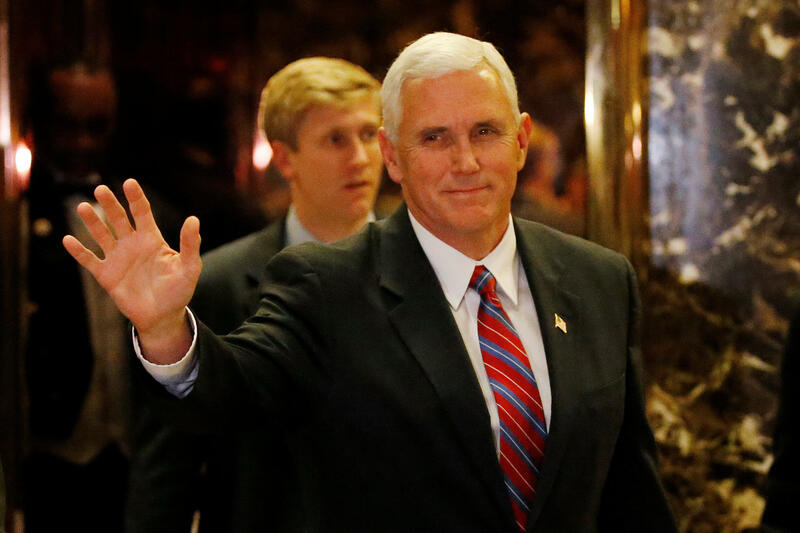 With some administrative stalling as Mike Pence took over the presidential transition team and the purging of several transition members, there’s been speculation that the team planning Trump’s transition is unprepared to accomplish everything it will need to do before the GOP businessman takes the oath of office on January 20. Trump’s team has suggested it is back on track after the purge of registered lobbyists. And a comparison with past presidents-elect shows that Trump’s transition is on pace so far. While names for top Cabinet posts such as secretary of state and defense secretary have been floated, none have been announced yet: the only staff announcements Trump has made thus far are his chief strategist Steve Bannon and White House chief of staff Reince Priebus. Some federal agencies haven’t heard from the Trump transition team at all: for example, CBS News reported Wednesday that the Department of Justice has not been in contact with Trump. And Trump has not held a single news conference since being elected president. People who have paid close attention to presidential transitions over the years note that they rarely run smoothly. “There is a long history of unfortunate transition activity,” Max Stier, the president and chief executive of the Center for Presidential Transition, told the New York Times. Typically, presidents-elect begin announcing some staff picks in the days immediately following their election, while Cabinet secretaries tend to be announced later in November or in December. Then-Sen. Barack Obama was elected president on Nov. 4, 2008, and his transition team held almost daily news conferences during the transition period. He made several big announcements in November, but many top Cabinet positions waited until December. First, on Nov. 6, 2008, Mr. Obama named Rahm Emanuel as his chief of staff. That was the only staff hire announced within the first two weeks after Election Day. Though several other Obama campaign staffers were rumored to be in discussions for formal roles, such as David Axelrod and Robert Gibbs, those announcements didn’t come until later. On Nov. 19, Mr. Obama announced Axelrod as his senior adviser, as well as his staff secretary, White House counsel and Cabinet secretary. Three days later, on Nov. 22, Mr. Obama’s transition team announced Gibbs would serve as press secretary, Ellen Moran as White House communications director and Dan Pfeiffer as deputy communications director. As far as Cabinet positions go, the only Cabinet secretary Mr. Obama announced in November was Treasury Secretary Tim Geithner. On December 1, Mr. Obama announced his picks for several top foreign policy and national security posts, including Hillary Clinton as Secretary of State, Eric Holder as Attorney General, Janet Napolitano as Secretary of Homeland Security, Robert Gates as Defense Secretary and Susan Rice as Ambassador to the United Nations. Throughout mid-December, Mr. Obama announced his picks for other top Cabinet secretary positions, including EPA Administrator (Lisa Jackson), Energy Secretary (Steven Chu), Interior Secretary (Ken Salazar), Labor Secretary (Hilda Solis), Secretary of Housing and Urban Development (Shaun Donovan), Veterans Affairs Secretary (Eric Shinseki), Education Secretary (Arne Duncan), Agriculture Secretary (Tom Vilsack) and U.S. Trade Representative (Ron Kirk). As a result, Bush’s transition took place in an abbreviated time period, with approximately a month less time as a formal transition than most presidents have. That said, he had a team ready to go: he appointed his chief of staff, Andy Card, on November 26, one day before the results in Florida were certified. And the majority of his Cabinet positions were announced in quick succession in December. On December 16, just three days after Gore conceded, Bush announced Colin Powell as his pick for Secretary of State. The following day, he held a press conference to announce Condoleezza Rice as his National Security Adviser, as well as Alberto Gonzales and Karen Hughes as White House Counselors. Bush announced many more top positions before Christmas that year, including Treasury Secretary, Agriculture Secretary, Housing and Urban Development Secretary, Commerce Secretary, Attorney General and EPA administrator. Donald Rumsfeld was named Defense Secretary on December 28, and the Education Secretary, Interior Secretary and VA Secretary were named on December 29. Clinton was elected to the White House on Nov. 3, 1992. One week after the election, he announced a 48-member transition team. After announcing his transition team, virtually all of Clinton’s major Cabinet and staff announcements came in December of 1992. Treasury Secretary Lloyd Bentsen, the first Cabinet secretary pick to be announced, on Dec. 10, 1992, along with Carol Browner as EPA administrator and Leon Panetta as director of the Office of Management and Budget. Clinton’s picks for Labor Secretary and Health and Human Services Secretary came the following day, on Dec. 11. Clinton announced several of his top Cabinet decisions on national security and foreign policy on December 22, including his picks for Secretary of State, Secretary of Defense, and ambassador to the UN. Some even came on Christmas Eve: that day, Clinton announced his picks for Attorney General, Agriculture Secretary, Commerce Secretary, Transportation Secretary, Secretary of the Interior and U.S. Trade Representative.